President Muhammadu Buhari has called for unity among Nigerians, urging them to rise above personal and sectarian interests by tolerating one another at all times. 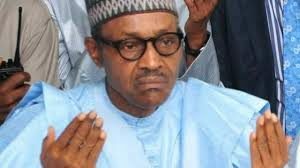 Mr. Buhari, in a Sallah message, urged all Muslims to use the occasion for sober reflection and self-examination and strive to be good ambassadors of their religion by upholding high moral values. President Buhari explained that religion is a major factor in influencing human behaviour towards good conduct and actions. To buttress this point, President Buhari cited the many initiatives unfolded by the administration under the Social Investment Programme (SIP) among which was the recent decision to distribute recovered stolen funds to the poor against the past practices of re-looting such funds by some people in authority.